My first blog was on sewing of beaded shoes which can be view at Peranakan Beaded Shoes – “Manek Ay”. Besides that I have venture into sewing a lot of items using beads. These are some of the beads embroidery that I have done in the past years. These bags can be used for keeping hand phone, tissue paper, spectacles…..I have given some of these items as presents/gifts for my friends and relatives on special occasion. They were very pleased with it. 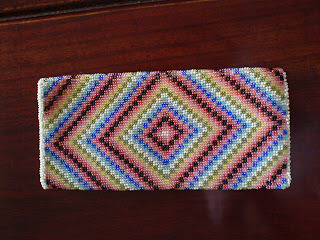 I have gone as far as framing up one of the beads design as a picture to hang on the wall in my living hall. These are miniature pillows with colourful flower design. I used them to brighten up small corners in cupboards and on table tops. 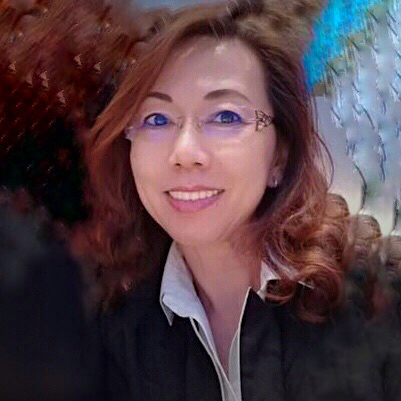 All the colourful beads, patterns and materials can easily be found in handicraft shops – Sin Seng Lee in Penang Road and Sin Soon Lee in Rangoon Road. It is an interesting hobby. It gives me a rewarding feeling looking at them. Do give your views and ideas on beads and cross stitch sewing and I would be happy to share mine with you too. 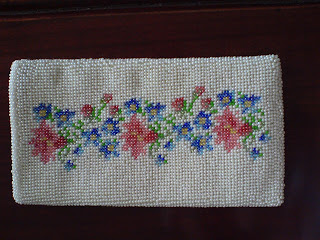 4 Responses to "Beads Embroidery – Part 2"
hey…am into cross stitching also…email me…maybe we can share charts!! do u do any backstitching on all your beads work if there are any and u always do full background?